The 4-star Mercure London Watford Hotel is located on the outskirts of London, close to the main business areas of Watford. This hotel offers rest and relaxation away from the city centre whilst being close enough to London airports and motorways to be convenient for everyone. Guests can enjoy a carefully prepared meal in The Brasserie, or unwind with a drink in The Bar. 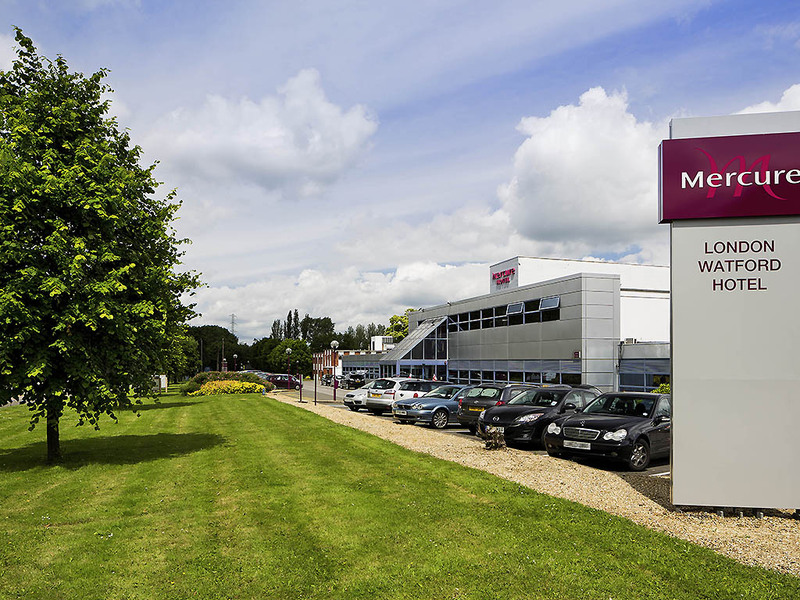 If you are travelling on business the hotel has great transport links to the M1, M25, A41 and A1. Shopping at the Harlequin centre is 2.7 miles away or Brent Cross shopping centre close by. Wembley Stadium & Arena are 15 minutes drive from the hotel. All bedrooms feature an HD LED TV and complimentary high speed WiFi. In privilege and superior rooms you'll enjoy a Nespresso coffee machine, newspaper, robe and slippers. Unwind in The Brasserie over coffee or have a bite to eat. This individually styled restaurant offers a wide selection of internationally inspired dishes from quick snacks to 3 course meals complimented by a range of fine wines. Enjoy an aperitif in The Bar while surfing the internet with wireless access. We offer a range of wines, beers, spirits and soft drinks as well as light meals allowing you to keep on relaxing until you are ready to leave.